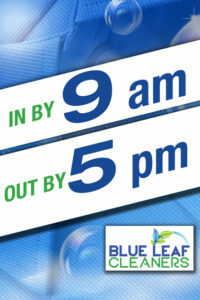 Take advantage of Blue Leaf Cleaners’ incredible dry cleaning pickup & delivery service. 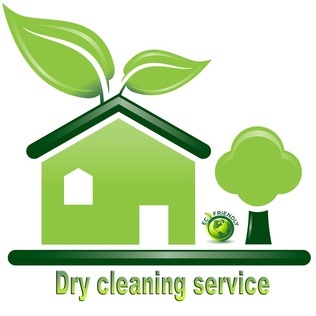 At NO EXTRA COST, we will pickup your dry cleaning, clean it, and return it within 48 hours. 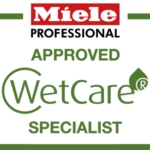 We take care of it all!! We understand that Clothes are what defines who we are, what ‘expresses’ you as separate individuals. What protects you from extreme temperatures. Sometimes it even represents what we stand for, our values, beliefs, and efforts. It’s the fresh start to your day (nothing compares to the clean smell of a crisp white shirt or that sharp looking blouse), and the soft, comfortable finish to a well earned relaxation at home. In a metaphorical sense, your apparel becomes a part of you. Therefore, your clothes deserve the care and attention that our customer rightfully deserve to receive. 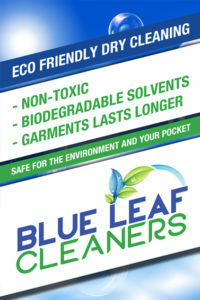 We’d like to cordially invite you to Blue Leaf Cleaners to give us the chance to show the right way to represent the clothes that define who you are.